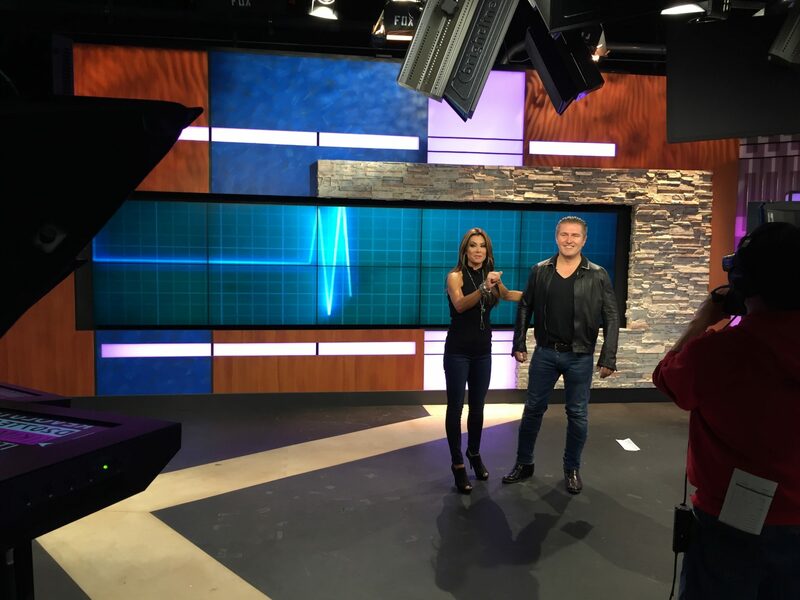 This morning, December 3rd 2014, Health Fitness Revolution founder Samir Becic was on Fox San Antonio‘s Daytime at Nine show, airing at 9am with host Kimberly Crawford. 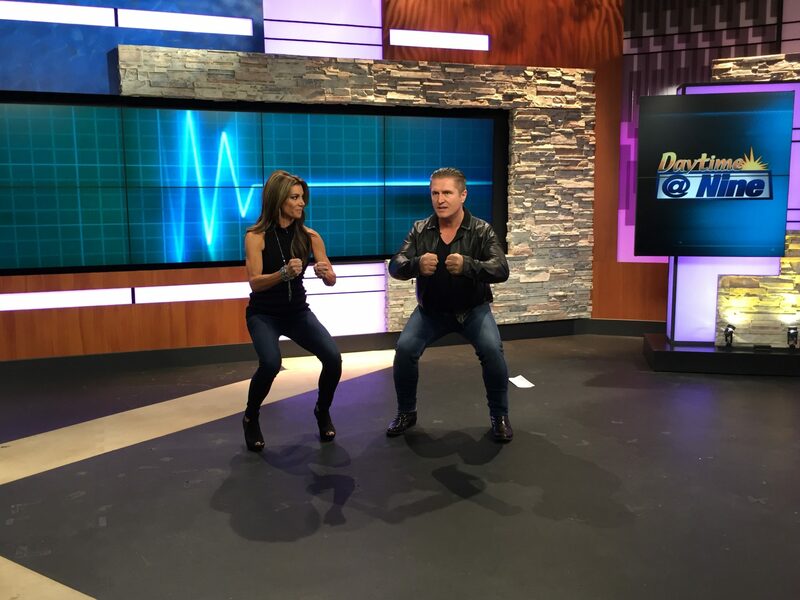 Kimberly Crawford previously made our Top Fittest News Anchors in San Antonio list and we enjoyed watching her and Samir demonstrate easy and simple exercises that can be done anywhere and anytime over the busy holiday season. Kimberly Crawford is the host of San Antonio’s hippest lifestyle and entertainment show, Daytime @ 9. The show focuses on all the great things about living in San Antonio, including festivals, music, theater and fashion. Kimberly loves to keep viewers in the know and keep them entertained at the start of their day! Kimberly grew up in Three Rivers, Texas, about an hour south of San Antonio. After high school, she went on to earn her degree in Broadcast Journalism from the University of Texas at Austin. Hook’em! Before getting her start in television news, Kimberly moved to Los Angeles to pursue her love of acting. She was cast as “Miss Maine” in Sandra Bullock’s hit movie “Miss Congeniality”. She is also a former “Miss Corpus Christi, USA”. Kimberly recently served as entertainment reporter for the San Antonio Spurs during live game broadcasts on Fox Sports Southwest. As much as she loves her gig hosting on Daytime at Nine, nothing in this world brings her more joy than her family. She is a mom of two.